The 'Meet' Series will be a chance for me to interview anyone I would love to meet that is involved with African literature. So I absolutely love Zimbabwean literature, and I really, really loved this novel when I read it a few months ago. So I am extremely happy to announce the next person in the series is Bryony Rheam author of This September Sun, published by amaBooks in Zimbabwe and Parthian in the UK. Enjoy!!! I was born in Kadoma in Zimbabwe and spent my early years moving around the country quite a bit. My dad was in mining and in 1982 we moved to a mine near Bulawayo. I went to school in Bulawayo until I left Zimbabwe in 1993, after completing my A levels. After that I spent some time travelling and working in the UK and then went back to study there in 1994. When I finally finished university, I worked for a year in Singapore and then returned to Zimbabwe where I worked for the next seven years. My partner and I moved to Zambia in 2008, which is where I currently live. I have two children who take up most of my time (in a good way!) but of course I enjoy getting some time to myself. I have always loved reading and my idea of a perfect day is to spend it absorbed in a book. I love anything to do with the 1920s, 30s and 40s. I enjoy collecting old bits of furniture from this period and things like crockery and books. I was certainly born in the wrong age and often wish I could escape into the past, where I believe I live my parallel existence! For exercise, I do yoga which I thoroughly enjoy. If by ‘ever’ you include my childhood, it was probably a story about fairies. I have always wanted to be an author so I used to write quite a bit as a child. When I was about eleven, I wrote a book of short stories about a mischievous dog called Merlin. My first published piece was a children’s story in The Chronicle – a Bulawayo based newspaper when I was about 13. It was about a Warthog named Winston. My first published story as an adult was ‘The Queue’ in Short Writings From Bulawayo in 2003. I really don’t think I can answer that question! I’ve always been a very shy person and found a way of expressing myself through my writing. People are often surprised that I am the author behind my work. When you are quiet, people often underestimate you. I am an English teacher, for my sins. I’d love to be a full-time writer. I must say I think I was quite lucky in this regard. I knew Jane Morris and Brian Jones of ‘amaBooks because they had published various short stories of mine. They were quite interested in reading the manuscript of This September Sun and thought it had potential. Finding the finance to publish the book was a consideration though and I am indebted to The Culture Fund of Zimbabwe for their assistance. I have, however, not found it so easy to find a publisher outside of Zimbabwe. South African publishers, in particular, have shown little interest as they seem to want a particular story from Zimbabwe. I think the worst criticism I have had so far of This September Sun is that it is ‘insular’, focusing on a white, middle class world, instead of mentioning politics in every two sentences. The best compliment came from a woman who came to see me after I had given a talk about the novel in which I had said it wasn’t a true story. She said that for her it would always be a true story and that’s the way she’d like to think of it. I’ve found numerous people very disappointed when they’ve found out it isn’t true! As a white Zimbabwean author, are there any obstacles or challenges you particularly face in writing about Zimbabwe, or even Africa? If you are white in Africa, it will always be assumed that you had a privileged upbringing, and because of that, somehow you have no right to write about it. If you write anything that isn’t to do with poverty, AIDS, corruption or racial issues then somehow it is ‘lacking’ and this can only be attributed to the fact that you are white and haven’t suffered enough! 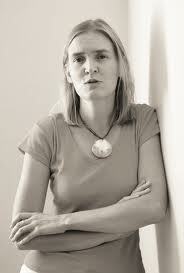 I also think that a certain type of writing is expected from white writers. It used to be the ‘anti-apartheid’ novel, usually featuring a white character who gets drawn to a ‘black world’ and realises how insular their life has been. At the moment it’s the ‘African memoir’ – my days growing up in Africa and how it made me the person I am. They’re perfectly acceptable; I enjoy reading them myself. The key, however, is that the writer does not live here anymore. I don’t know why, but the Western publishing world doesn’t seem to like white writers who still live in Africa or who consider it their home. 'Things Fall Apart' by Chinua Achebe. I remember when I first read this and when I put it down, I was completely in awe of this writer who had captured a specific turning point in history so well. He revealed how insidious the process of colonisation was and how, for it to work, it must also bring benefits. 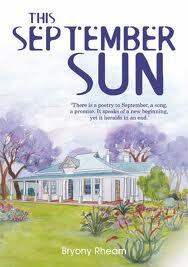 How would you describe your debut novel This September Sun? I’m not quite sure! It’s not quite a romance or a mystery. Drama? What inspired you to write This September Sun? I did my Masters in Postcolonial Writing, a course which I enjoyed very much, but one that also frustrated me. I read a lot of what is termed ‘colonial’ writing – Out of Africa and A Passage to India – and lots of postcolonial stuff, but I never saw ‘myself’ in any of it. White characters were often polarised into ‘good’ (the idealist) or ‘bad’ (the racist/colonial administrator). No one was ‘real’. I began to think about writing a novel and I had already got a few bits and pieces that I had written before I did my Masters. However, I did NOT write the novel to prove a point or anything along those lines. The most important thing to me is a story, not a message! This September Sun felt so real. I related so much with Ellie’s character, and even Evelyn seemed like she was a real character. Did personal experiences or people you may know inspire the characters in your novel? Close friends have told me that I am very much like Ellie, so I am sure there is a lot of myself in her, although she is not me! I think she’s too ‘hard’ a character to be me, although she is also very sensitive. There’s a lot of me in Evelyn, too. There are also elements of my maternal grandmother in her, although they are also quite different. They both belong to an age which saw women still playing a conventional role, yet also able to do things the previous generation hadn’t. 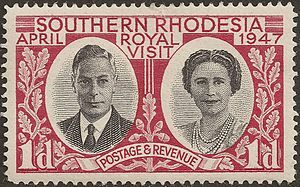 This September Sun also has a very strong historical element, and it gives a great sense of what life in Rhodesia in the 1940s and 50s would have been like. What was it like researching it? I really enjoyed it! Basically, most people love having someone to talk to, especially about the past. I spoke to a number of elderly people, who were always very willing to chat. Doing that gave me more of a feel for the past than just researching facts. I think most of us have a conventional idea of a time such as the 1940s, and would be quite surprised to hear some of the stories of what went on. Affairs, especially during the War, were very common and many men came home to find that they had children they couldn’t possibly have fathered, but they generally seemed to accept it. Writing about the past is difficult though. You have to make sure you get all your facts correct, including minor details such as expressions people used that they might not do now and vice versa. I really enjoyed writing about Ellie’s time in London, probably because it was so real to me. Agatha Christie’s autobiography. I’m quite a fan of hers. I love The Great Gatsby. I love the way it is narrated. I like books where the story is told by one of the characters. I also like Mrs Dalloway by Virginia Woolf, again because of the narrative technique and because it is so beautifully written. I can’t really think of a particular occasion. I tend to know something about the author or the novel before buying it. I’m old-fashioned and can quite honestly say that I have never read an e-book. I have used Amazon, but I’d much prefer to be able to walk into a bookstore. What’s next after This September Sun? I’ve started writing another novel, but at the moment I have put it on hold in order to finish some short stories which have been bothering me! I need to get them down and finished so that I can carry on with other things. Greetings from Finland and thank you for a very interesting interview! I am surely going to read Ms Rheam's books!